This is quite pleasant.A side project of Material Object.Has a certain oriental feel.No beats. Donato Dozzy,this is more minimal/ambient techno in the Kompakt or Moritz Von Oswald vein but I do enjoy the vintage sounding drum machine and sort of aquatic flow. More people should know about Aidan Baker's solo work. A lot of people just know him for Nadja but I prefer his solo work. On ...txt and featuring Matt Hillier on two tracks. Abstract soundscapes with lots of subtle details. This is truly excellent. Glad you like that Chris, it really is a cracker. I think its on a par quality wise with Nachtplank- Echo Ark. Similar ambient magnificence. Lee Anthony Norris & Porya Hatami - The Longing Daylight. This is wonderful. I've been playing this on repeat while going to bed for the past week. Great metamorphosing drone work. New release on Anodize by Unit 21 of No Traces (Infraction) fame. This is a real treat. Every song is unique, ranging from electro-acoustic guitar noodling to deep ocean ambient. 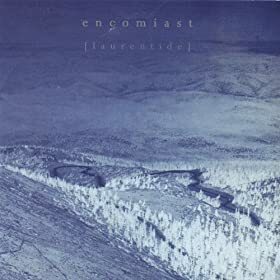 Encomiast - Laurentide. I got this on Amazon UK for £0.79 download. I have played it many, many times as the album slowly releases it's secrets. It is a dark, disturbing at times, but serene journey through an alien landscape, probably a frozen world, might even be Antartica.....it would be a cool listen there I love this album, absolute bargain. 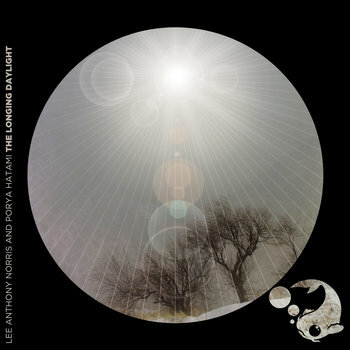 Lee Anthony Norris & Porya Hatami - The Longing Daylight yet again. What can I say except absolutely beautiful music yet again from Lee and Carpe Sonum. Porya is a musician based in Sanandaj, Iran !! Interesting that such ambient beauty can come from that area. A new and, for me and some others who adore Yagya's classics, a highly anticipated release. I have mixed feelings about this album though. Some of the tracks are brilliant and creative. The first three, for example, are fantastic--especially when played back-to-back. The album as a whole, however, misses the mark for me. What I really liked about some of his older records, such as Rhythm of Snow and Rigning, was the mix of beats and the super delicate and evocative melodies. Sleepygirls, in contrast, has a relatively invariant beat throughout (very club friendly) and there isn't much in the way of nuance to break up the monotony. The album is good for what it is though. But it can be hard, as a fan, to appreciate something on its own terms without comparing it to what you had hoped for. Good tip on Earth Orbit Audio System! Released digitally on Bandcamp yesterday. Really cool stuff. What I really like about Stokes is that you can immediately recognize his unique sound based on a few seconds of audio. How many artists in the EM scene can pull that off? Tagged as "ambient electronica instrumental synthesizer Finland" I would say whilst there is some ambient on this album it leans more towards Berlin School and also with a couple of tracks more almost rock orientated synth. It is however very good indeed. Thinking about getting the CD. Now checking out Earth Orbit. Sounding very promising indeed. Notice this lad buys a lot of the same music on bandcamp as myself so that augurs well. Also checked out Stanislav Vdovin - Wake Me Up When It's Gone on anodize. That is really superb. Will have to acquire same. Cheers again Chris for highlighting. Earth Orbit has excellent taste in ambient music. I frequently look through his Bandcamp collection. Very good snippet from upcomming BKS albums (Electronic berlin school masters), very addictive sequencer in this one. I like the subtle organ sound and the bass sequencer too..
Oh Yes, Thin Lizzy . Phil Lynott's vocals, lyrics, songwriting and bass playing really were something. Great band. 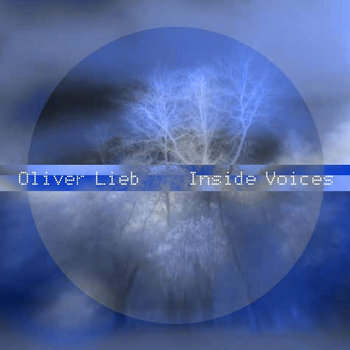 Olver Lieb - Inside Voices CD has been on absolutely constant play past two days. 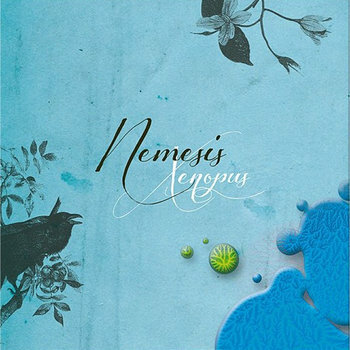 FAX ambient orientated with appropriate and excellent beats on several tracks. This release just oozes FAX, brilliant !!!!!!!!! I ordered the Oliver Lieb CD as well! Also found a copy of Nachtplank Echo Ark CD on Discogs. Had to pay a small fortune for it unfortunately. Other current spins: Arc "Umbra". Great disc by Mark Shreeve of Redshift and Ian Boddy! Move D/Namlook "The Retro Rocket.". Their excellent third collaboration album.